I agree 100%. I filled out their requested forms and am now currently awaiting their reply. Will keep yall updated. A bit off topic but does anyone know where to purchase a S12 ejector and extractor? The ejector block is riveted in, its not something youre gonna swap out in the field..if you can even find one. About your only chance of getting a spare is finding someone parting out a S-12. The S-12 parts diagram doesnt even list it as a part. According to the parts diagram, it looks like it is considered integral to the reciever assembly. I have only heard of an issue with the ejector block one time only..and it was caused by a screw up while the guy was trying to "mod" the ejector block. I believe he was trying to manufacture a full auto post sample, and ended up breaking off a tap in the ejector block. R&R targets used to sell aftermarket complete bolts and carriers but they have been sold out for some time now and when I asked they did not seem motivated to do another run. Damn shame. They obviously have drawings and cad files etc to at least reproduce complete bolts and carriers including extractors, firing pin & striker etc. If I remember correctly they wanted to focus on their own design, which Im not a fan of personally. It reminds me of a aluminum version of a keltec, where the reciever is split in two halves down the length and held together with screws. The pricing is VERY HIGH as well. Talk about a truly limited market..compared to the many S-12/V-12/clones in owners hands as we speak and still more availible for sale. Even new in box S-12's and V-12's. One thing is for certain..nobody wants their S-12/V-12 to become a expensive paperweight, somebody with the means just needs to step up and be willing to take our money. Honestly if spare parts were availible I believe tons more Saiga/Vepr rifles and shotguns would have been sold, even if they were quality aftermarket parts. Extractors can last a very long time if nothing stupid has been done to the weapon. I left a voicemail at KalUSA today re: available bolts, carriers, springs, etc. and to confirm they are interchangeable with our S12. Edited: Meant to reply to a different topic. Reeeeaaaaallllyyy?....very interesting! Your talking about K-USA (as in the manufacturer of the KS-12)? 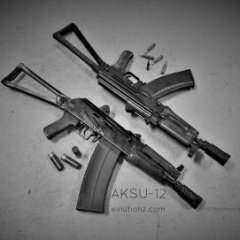 I have been too busy to have a really good look at the parts on this KS-12 compared to a Saiga-12. I may do a little part swapping when I start testing the KS-12. I do have one non-relocated Saiga-12 that I keep forgetting that I have. I can compare it directly to the KS-12 and swap to see how things feel and work. It was the one in my first 100, 200, and 300 round dump videos when doing work for others was but a twinkle in my eye. That would be valuable data and much appreciated. I got them on the phone today and spoke with a salesman. He said they will have parts availible at some point but they are not availible now. I mentioned that having carriers, bolts and magazines availible for sale would be great for them considering how many S-12's and clones are out there and utilize the same parts and mags. He agreed, not suprisingly. They could be making money selling parts to people that dont even own a KS-12, its a no brainer. Think about how much $$$ glocks making selling just magazines? With all the different carbines that take glock mags. The guy said the parts will be for sale on their website once theyre availible, and also said not to expect them for 6+ months from now. Sounds like they may be drinking from the fire hydrant. I can identify with that. Things go so fast that it is hard to devote time and resources to other things. I let time get away from me working overtime and purchasing some furniture etc. I mailed out the firearm on 7/20 and apparently there was an issue delivering the package and it sat at the post office for 3 weeks. However, earlier i received confirmation from KUSA that the package has arrived. Will post update ! Thats good news! At least they are taking it in, hopefully they will get you right. I emailed them on the status of the repair and they say 1 more week before it ships back to me ! Will post when it makes it here. It showed up !!! Gonna grab a few more boxes of slugs and head out to the range. The factory acknowledged my re-profiling/polishing of the bolt, hammer, and carrier. "Replaced rear trunnion and rear rivet. Replaced dust cover. Installed improved regulator. Installed improved bolt carrier. Installed improved recoil spring. Repainted firearm." Basic inspection reveals re-riveting of rear trunnion. Appears to have original gas tappet/puck. Gas plug appears original, though degree of "angle" could be different than original (it's hard to tell). 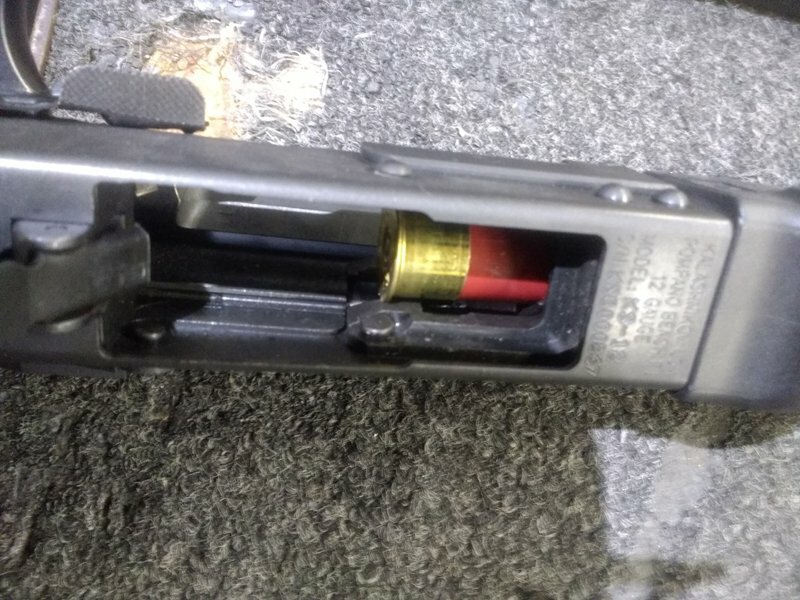 I strongly believe bolt carrier is original because it is still re-profiled and polished, however gas piston may be either switched or threaded further into the carrier (I "think" I recall there being a couple of threads visible, now there is not). Recoil spring has less coils than my previous count, though thickness of coil appears to be the same (I am not sure what the implications of that are). Receiver does appear refinished with less than the original quality it came with initially. Not a compliant, just stating. Gas ports appear to be visibly the same diameter, although this is purely speculation, as I did not and have not measured them. I do however notice the imprint of gas piston on the gas tappet/puck is off-centered, where previously I do believe it was centered. Again, I do not know what the implications of that are. Overall, I'm pleased and will be test firing this thing tomorrow/today. Taking a couple of coils off the recoil spring lowers resistance, theoretically increasing low end performance. The caveat is if you like to shoot high powered stuff, without something like a blackjack buffer, you're more likely to damage the rear trunnion. What you are referring to as the 'piston' is the 'op rod'. On this platform, the puck is actually the gas piston, and a slightly off center impression where it contacts the op rod is more common than uncommon, so unless it's way off, or you start to see cracking where the op rod inserts into the bolt carrier, I wouldn't worry about it. Several failure to feeds where round following the initial became fairly jammed into the front trunnion (gouging the brass lip of the round) and a couple of failures to eject. Is it possible that due to the reduction in resistance from the replaced recoil spring that the action is cycling too quickly ? 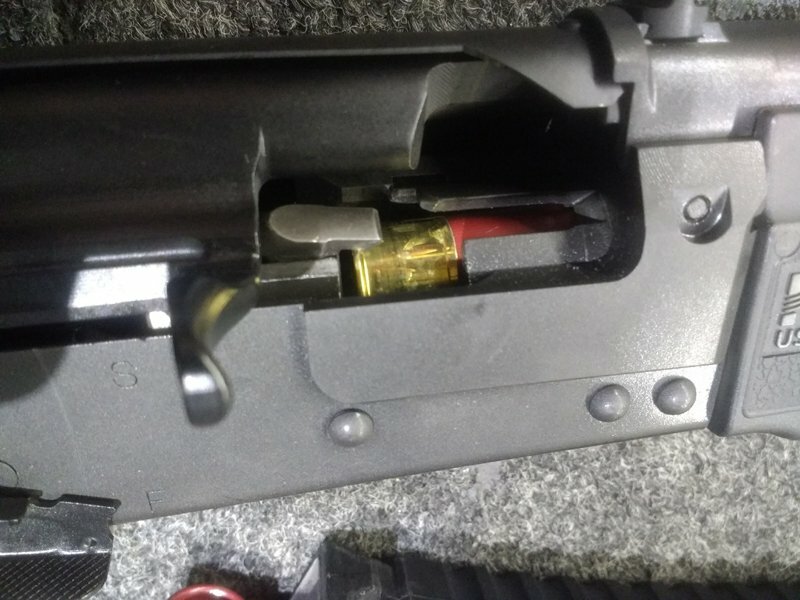 Every initial round of the mag was chambered using the safety selector bho and not once did it fail to chamber. Each failure to feed occurred on the second round. I would suggest trying a different round just to be sure.. I have had three warranty emails very close together where the shell used was Federal slugs.. Maybe there is a bad batch floating around? Normally the above malfunction is caused by the front lip of the shell getting damaged. Try pulling the malfunction and seeing where the damage is on the shell... Also check dropping a few shells fresh out of the box into the chamber. What magazines are you using? It is really hard to understand the refinish not looking as good. It is ridiculously easy to make a refinish look better than an original finish. I'm not saying it is something I would complain about, just saying the refinish is the easy part. Compare the rim diameter of the Fed slugs to some other shells. Sure does look tight in the trunnion. They are really cranking things out at Fed, so it wouldn't surprise me if they had a bad batch. It happens. 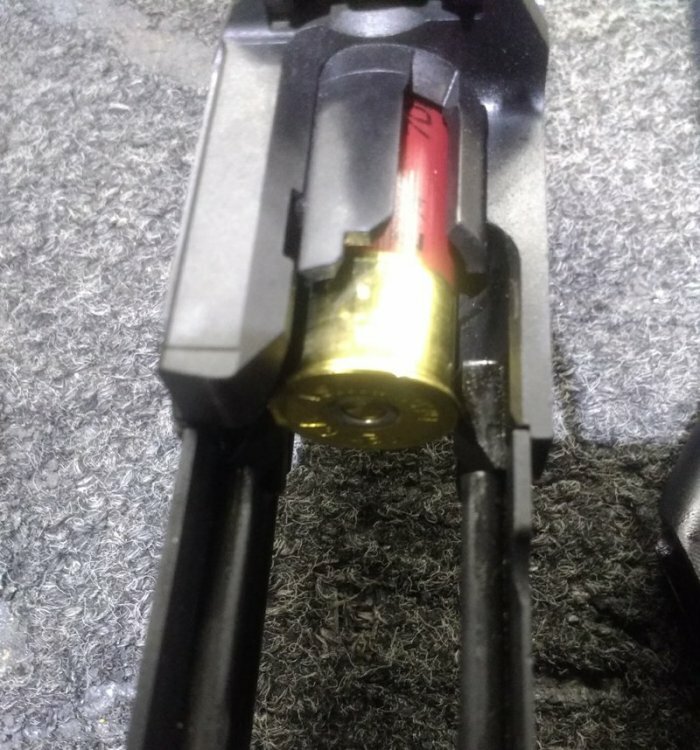 A while back I helped a guy tech a problem on the other forum, and we conclusively determined that the bad factor was out of spec Federal Flite control LE 9 pellet OOB. i.e. the shells most people would call most appropriate for "serious use". It's been a couple years at least, but IIRC, both the head diameter, the rim thickness and the rim diameter were significantly off from the largest of any fired or unfired hulls I could find of any brand. And before someone asks what I mean by "significantly off" - I don't remember, but I think it was pushing 1/16" of an inch larger than the largest shell I could find. The shells hung up in a pump feed tube. So we had an informal survey and several people found that their fed shells had odd oversize rounds here and there, but none as bad as the OP's. I think any brand can do this, and it's part of the reason why I dry cycle the whole mag of shells for anything that I plan on keeping loaded in the gun for HD. Looks like you boys were right. It seems the Federal brass was over-sized (i'll measure them later) because I had zero failures to feed/jammed shells using winchester super X slugs. Did however have 3-5 failures to eject on them......any ideas how i might remedy this? Do any of yall run recoil buffers on your rigs/do you recommend them? Are you seeing any drag marks on the brass, like there's a burr somewhere. 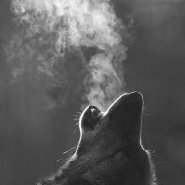 That I failed to observe, however I will be on the lookout next time. I did run a walmart 100rd federal bulk pack of low brass on gas setting 2 and had zero failures of any kind. 100% success.